Korea Dec. 1963 - Nov. 1965 -- <p>Please, if you're going to download any of these, be kind to his memory and credit HG Waite with the photos. My father was stationed in Korea from 1964-1965, These are photos from his collection. 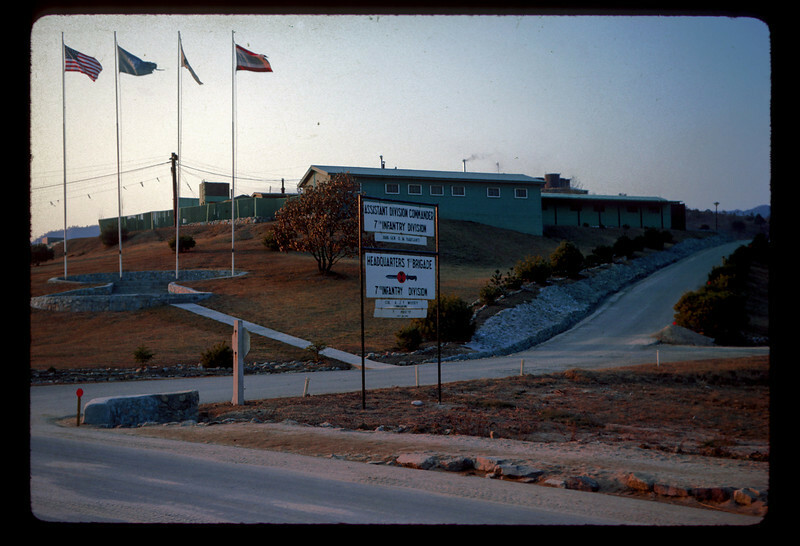 Camp Kaiser, Headquarters 1st Brigade, 7th Infantry Division. You can't see his name on this version of the slide (because the resolution isn't as good) BUT, underneath the 7th Infantry banner announcing the Asst Division Commander is the name of Brig. Gen. O. M. Barsanti. Who is - - One of the personal and professional highlights for Mark Barsanti while stationed in South Korea was the notification of his promotion to Brigadier General, effective September 1, 1963. At 46 years of age, Barsanti was one of the youngest generals in the Army.